Robert McLean Cumnock (1878–1913), founder of the School of Communication, began teaching individual elocution classes at Northwestern to supplement his Garrett Biblical Institute starting salary of $3 a week. Soon after he joined the faculty with a lifetime contract. Cumnock, a noted orator, had gained fame at the Chautauqua Lake Sunday School Assembly, a popular three- to seven-day gathering named for a lakeside town in upstate New York. During the assemblies, first held in 1874, residents had the chance to hear speakers on a host of topics. 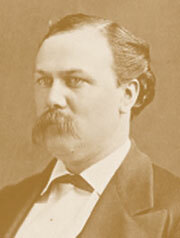 Cumnock, once called the “prince of men of his profession,” retired in 1913. In 1921 University trustees honored Cumnock by changing the school’s name to the lengthy School of Speech of Northwestern University Founded by Robert McLean Cumnock. Ralph Dennis (WCAS1901) was named dean in 1913. Knowing that the school needed to expand to survive and thrive, Dennis (1913–42) immediately sought to broaden the curriculum. He hired key faculty — in debate, speech pathology and literature — to expand the school’s scope. A Cumnock protégé, Dennis cared for his students, who then numbered between 300 and 450. “Skipper” or “Cy,” as he was known to the undergraduates, took the time to know each student personally, and he expected a lot of them. When the students disappointed him, Dennis would write blunt and candid letters to them and their families. “The dean of deans” served for 29 years and retired in 1942. 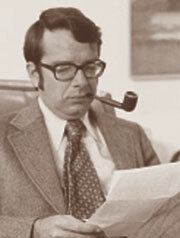 In his tenure the school fostered a nationally recognized theater program, a winning debate team and a speech clinic. 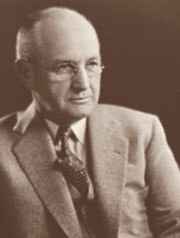 James H. McBurney (1942–72) served 30 years as dean beginning at age 37 in 1942. At the time McBurney was one of the youngest deans at Northwestern, yet his tenure was marked by great growth. The public speaking department expanded to include studies of semantics and freedom of speech issues in the 1950s. The school added radio to the curriculum in the 1940s and became the first in the nation to teach film as an art form in 1956. Ambitious to improve the school’s academic reputation, McBurney hired faculty in the field of communication disorders and oversaw the construction of the Frances Searle Building for Communicative Disorders, which unified the clinical, research and teaching areas of the communication disorders department. 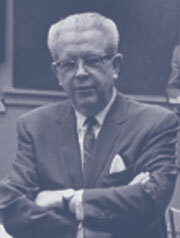 When Roy V. Wood (1972–88) became dean in 1972, he focused on hiring faculty with experience beyond Northwestern. He acted to increase alumni participation and improve facilities. 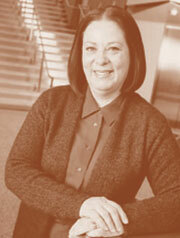 Wood initiated the campaign for the construction of the Theatre and Interpretation Center in 1980. 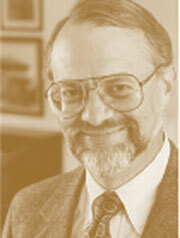 A star debater as a Northwestern undergraduate, David Zarefsky (C68, GC69, 74), became dean in 1988. As dean, Zarefsky (1988–2000) increased enrollment and reached out to alumni, establishing the Northwestern University Entertainment Alliance (NUEA), a networking resource for alumni in the highly competitive arts and entertainment industry. Under his leadership programs in four departments achieved national rankings. In 1998 U.S. News & World Report rated Northwestern’s audiology and speech pathology programs among the top two in the country. Four endowed chairs were established during his tenure, and the University built John J. Louis Hall, a state-of-the-art media production facility. New and upgraded facilities are only part of the plan for current dean Barbara O’Keefe (2000–present), who has also focused on new technology. She plans to improve academic advising and mentoring, increase internship opportunities and add cocurricular opportunities. O’Keefe hopes to continue to develop doctoral programs through cross-disciplinary study, expand external funding for programs and research, and increase enrollment in and support for the master’s in fine arts programs.